You can always find frozen fruits in my freezer. I have them on stand-by as my kids always ask for cold and refreshing drinks. I use them to make smoothies and milkshakes for them. 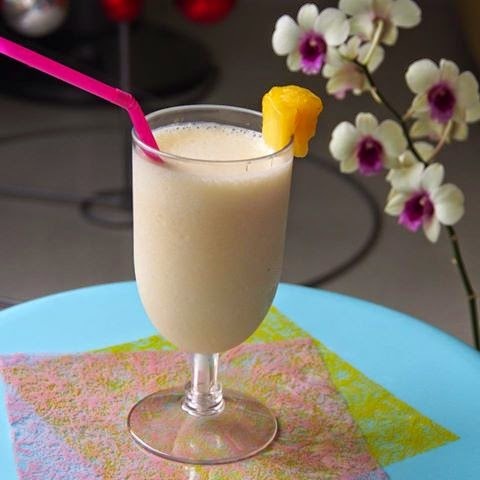 Today I made some Mango Lassi to beat the heat .. so shiok !! 1. Blend all ingredients till smooth. Best to serve immediately. 2. You can use fresh mango. I prefer frozen as it helps to thicken the drink slightly and also make it cold without the need to use ice cubes. 11 Nov 2014 - This is my kids' creation. 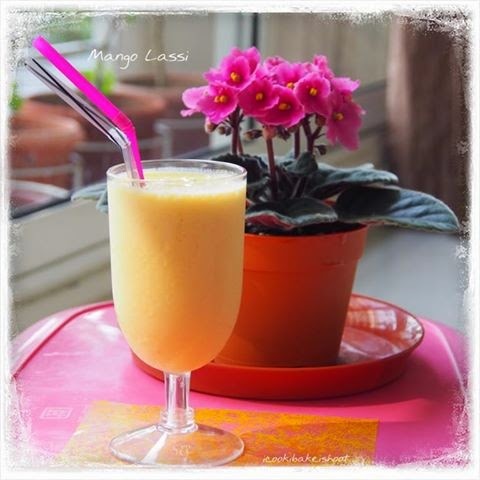 They wanted to make Mango Lassi, but could not find frozen mango in the freezer. They found some frozen pineapple instead and they made Pineapple Lassi. I took a sip, then another, then another. Hahah.. it is surprisingly good too !